Insects are all around us, some beautiful, some annoying, some a bit gross! 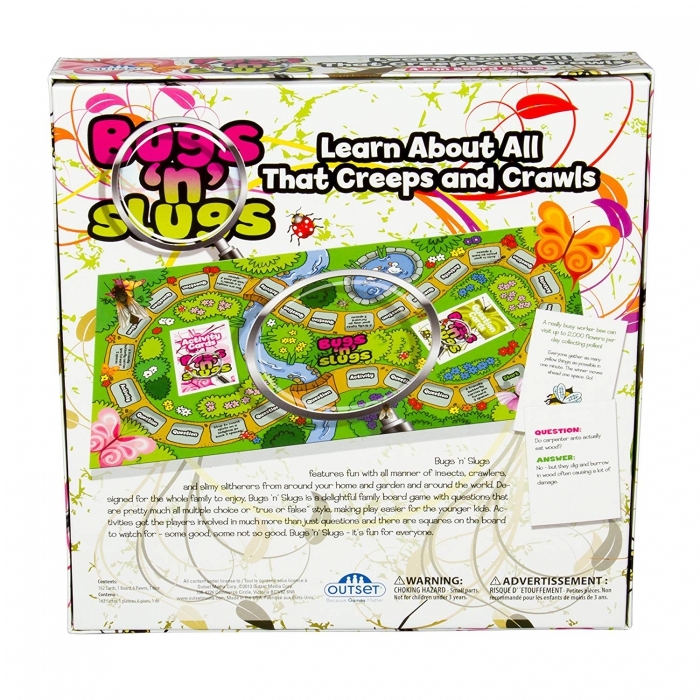 Have fun slithering around the board learning all about these little creepy crawly creatures. Is a male ladybird still a ladybird? How long can a cockroach live with its head cut off? Lots of fun facts to learn as you race to be the first to cross the finish line. Players roll the dice and move along the board. 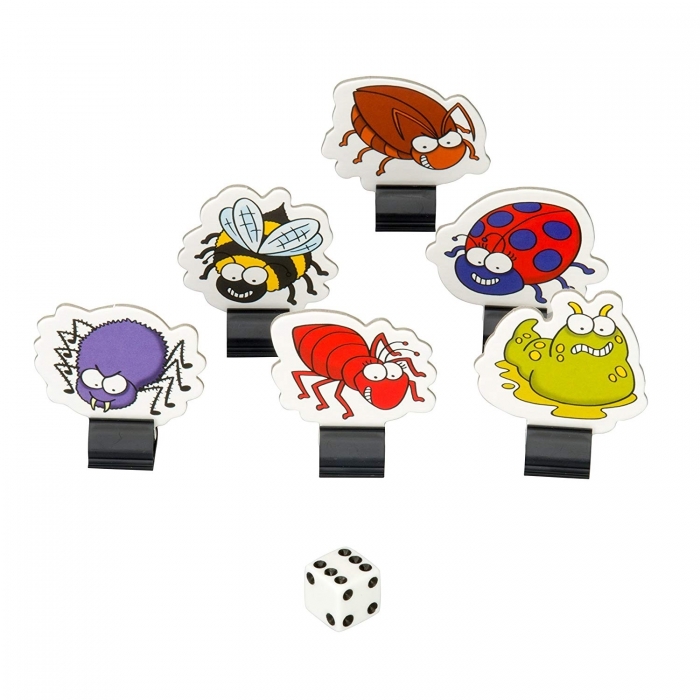 Landing on a Question square means answering a critter related question – answer it correctly to roll again. Questions are multiple choice or true/false so even if you don’t exactly know the answer you have a chance of getting it right and learning something new. Activity squares challenge players to complete an activity before getting a reward. 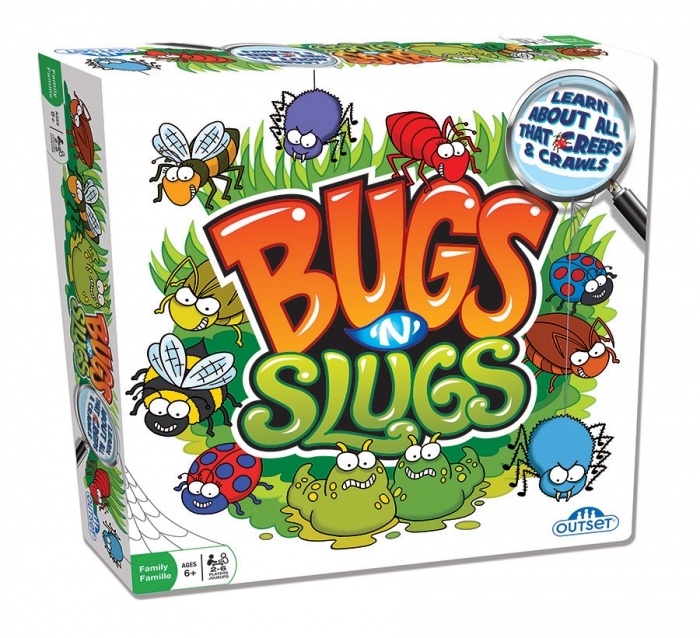 You’re sure to learn a lot about bugs and slugs as you travel to the finish line. 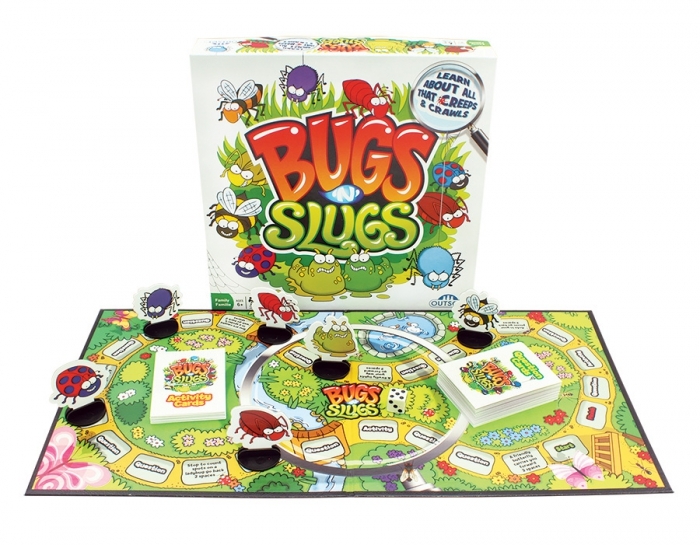 You’re sure to learn a lot about bugs and slugs as you travel to the finish line!